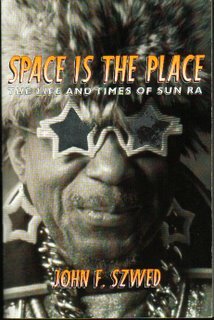 In a previous post I brought to your attention and explained why I believed the members of Drexciya had more than likely read ‘Space is the Place’, a life and times account of Sun Ra by John F. Szwed in and around it’s 1997 publishing date. On rereading it further myself, having probably not picked it up since 1998, I was fairly shocked to discover one of the names I had already mentioned as possible influences on their thinking while conceiving the ‘Storm Series‘, namely Rudolf Steiner. I really should also have mentioned Gurdjieff but at the time probably thought that would be going too far but now I wish I had. Luckily for me I can simply quote a chunk of the book for this link to be apparent as otherwise I fear a book would be the only thing to do full justice to the links between the two. I’m just saying that there’s a strong chance they would have followed up on some of these names which were such a strong influence on Sun Ra’s own thinking and philosophy. From this section of the book it’s also tempting to wonder if this would also have been the first time Gerald Donald came across the word gesamtkunstwerk, here mentioned in conjunction with Wagner, someone that an obvious germophile like him no doubt would have more sensitively picked up on. “Through Blavatsky’s writings Sonny(Sun Ra) learned of all the secret societies, real and imagined, that were theosophy’s precursors...In the work of one of her offshoots, Rudolf Steiner, he read of a German who attempted to bridge the everyday and the spirit worlds by means of scientific methods. Even though he was a scientist, more than any other theosophist Steiner knew the arts and treated them as central to his spiritual project. he had studied architecture extensively, extended Goethe’s theory of colour, and drawing from Wagner’s notion of Gesamtkunstwerk - in which all arts would be incorporated into drama - he developed Mystery Plays which traced the spiritual development of characters through the use of music, colour, speech, movement and stage design...he recognised that dance rhythms had been involved in the creation of the cosmos, and saw the need to restore rhythm to modern life as a means of communicating with the spirit world. " "Then through the Pyotr Demianovitch Ouspensky’s writings Sonny uncovered the strange Greek-Armenian mystic George Ivanovitch Gurdjieff. By means of a synthesis of number symbolism, Pythagorian musicology, cabbala, physics, esoteric Christianity, theosophy and an interest in theatre and music, Gurdjieff saw that man lives in habit, that he is asleep and must be wakened from this sleep, that there were other possibilities as yet unthought of in human life. It was necessary to shock people from their sleeping state, and music and dance were means of awakening emotional spontaneity. " "Sonny was particularly impressed by Ouspensky’s ’A New Model of the Universe’, which took seriously his concern with the limits of scientific reasoning, especially in matters as important as the theory of evolution and the need to reach beyond the limits of what are called objectivity and subjectivity to answer questions which otherwise appear unanswerable. " "The key ideas he received from his readings in theosophy were those which reinforced what he already held: that the Bible needed to be de-mythologized, decoded and brought in tune with modern life; that it was possible to unify all knowledge; that the universe was organized hierarchically, with forces or spirits which moved between the levels and affected life on earth; and that there were charismatic leaders who had the means to come to know these secrets." "Now everything flowed towards him, one idea leading to another, connecting unpredictably...strange ideas, bizarre associations. Sometimes only a single word he read had meaning to him, but sooner or later it connected to others, so that everything was eventually related...relativity, synchronicity, telepathy, clairvoyance, levitation...all parts of the whole. After all the years of wandering he had done, all the blind spots and dead ends in which he had wound up, his reading was pointing him to the way; a golden road was opening up before him, leading him through the rubble of life, concentrating his dreams and fantasies, making clear what he must have always known, that there was something greater than Birmingham, than Chicago, greater than the earth itself, and in it he had an ordained role: he was a secret agent of the Creator. With music he would reach across the border of reality into myth; with music he could build a bridge to another dimension, to something better; dance halls, clubs, and theatres could be turned into sacred shrines, the sites of dramas and rituals, and though people would be drawn to hear the music, it was they who would become the instruments on which it would resonate, on which he would create the sound of silhouettes, the images and forecasts of tomorrow...all of it disguised as jazz." If you substitute the last word for electro/techno then this could have been written about Drexciya. Certainly on reading this last particularly inspiring paragraph they would have recognised that this was what they had already been doing, “With music he would reach across the border of reality into myth.“, perhaps now they got a glimpse of the wider possibilities of what their next step could be, “with music he could build a bridge to another dimension.” 1999’s ‘Neptune’s Lair’ is the point where they most fully realised their music in myth and from here there was only one route for them to take without becoming a parody of themselves. This way out could only be dimensional and the wider possibilities of inner and outer space which this opened up for them. I’ve one more piece almost ready to go which began from another piece of information I gleamed from this same source, but will get back to documenting the work of Gerald Donald soon after that.